2. Use the uu/tt buttons to move up and down (see FIGURE 5). 3. Use the button to select. 4. 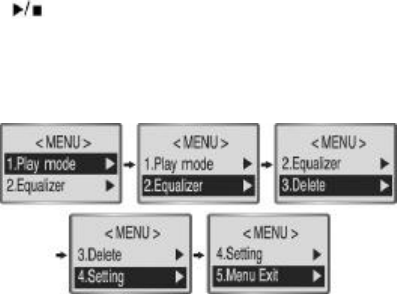 Press the MODE button again to return to the PLAY/STOP mode.